today's polish is SpaRitual Cassiterite. 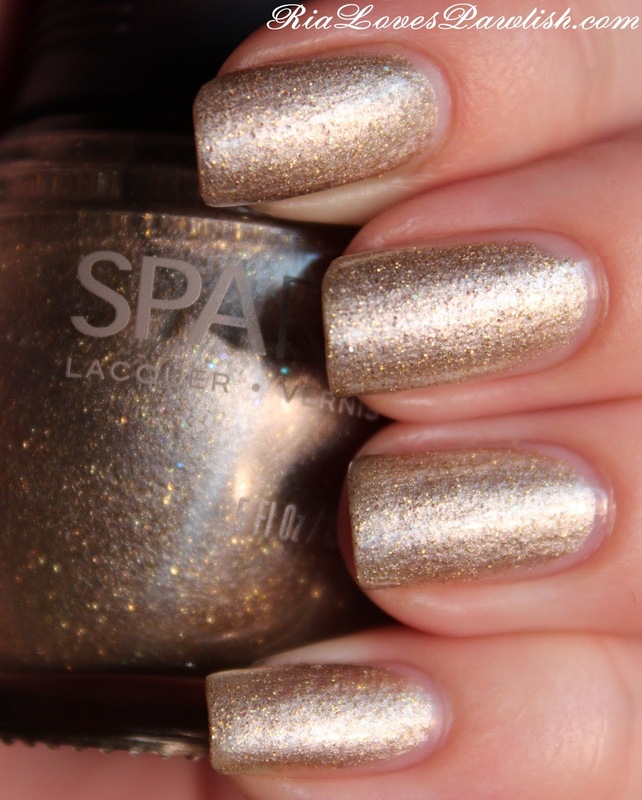 it's a creamy golden foil filled with gold glitter pieces and a few scattered pieces of holographic glitter! it's opaque in two easy to apply coats, i love SpaRitual's brush. this one dries down to a textured look, i guess the glitter in it is quite chunky. it looks even better with a coat of topcoat! two coats Cassiterite, one coat Seche Vite. Sorry about your order issues, but at least the polish is gorgeous! Sation Brand Partners With ipsy... Press Release!